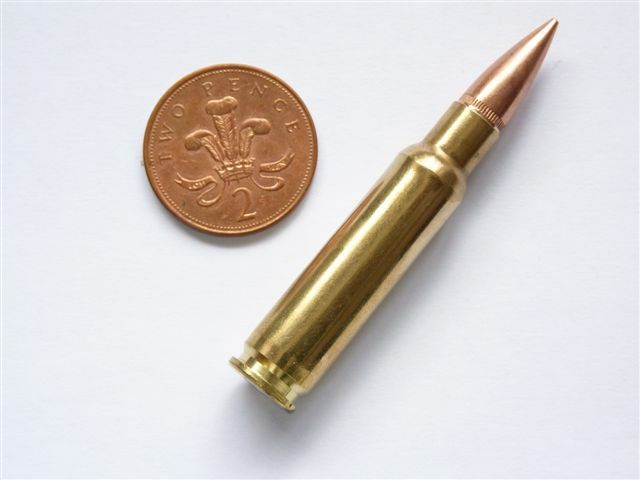 This is an inert and totally safe 7.62mm calibre cartridge, full name 7.62 x 51mm NATO, or 7.62NATO for short, and was developed in the 1950's as a small arms cartridge for the NATO countries in weapons such as the British SLR. Used by US forces in their M14 rifle and M60 machine gun in the late 1950's, it gave way to the later smaller 5.56x45mmNATO for use in the M16 rifle. 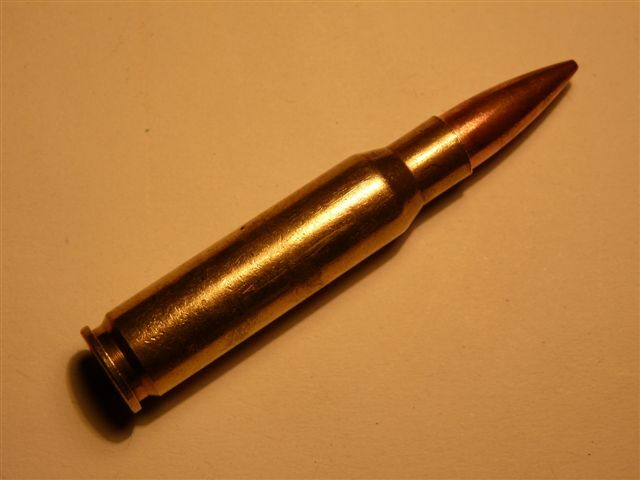 A successful cartridge, this round still remains in service as a sniper round and also on vehicle mounted machine guns.